Children love to get up and move. Especially when learning! One engaging way is to make activities that get them moving, especially foryour kinesthetic learners! 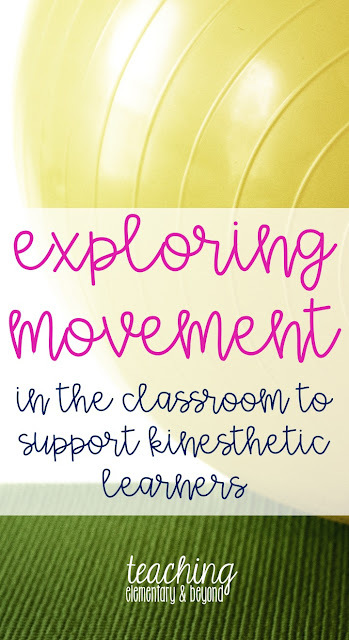 Simply by being able to move, students can focus and engage more on what they are learning. There are several factors. Many teachers who are choosing to allow their students to move more throughout the day. 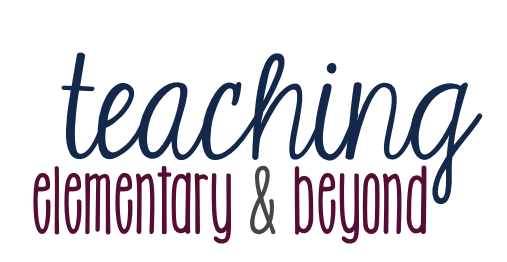 By using the classroom layout to help differentiate to the needs of their students some teachers are allowing a variety of seating options in the classroom. This allows for a variety of kinesthetic needs and incorporates the option to be able to move while learning. Letting kids pick where they can best learn helps them develop self-regulation. Yoga balls, squishy chairs, bean bags, seats that rock are all different ways children can sit compared to a traditional chair. Raising or shortening the desk heights is another fabulous way to change things up! 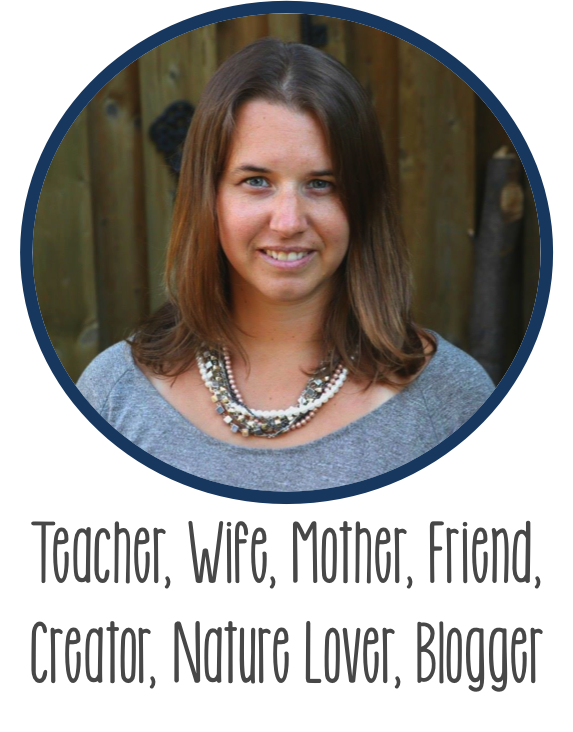 Scavenger hunts are an engaging way to get students moving to search for a variety of activities. Any age group can participate. Pre-readers can find or search for items using images and older children can search for items using hints! One of my favourite ways of getting kids to get up and move during my literacy block is to have them write the room as it incorporates reading and writing at the same time. I find that it is important to engage my students in a fun activity so that they don't realize that they are learning because they are having fun! 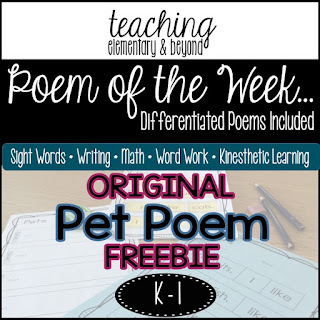 This is a personal favorite, for my SK students, because it is quick and easy and takes very little prep work on my part. Click here or on the image below to grab this freebie. 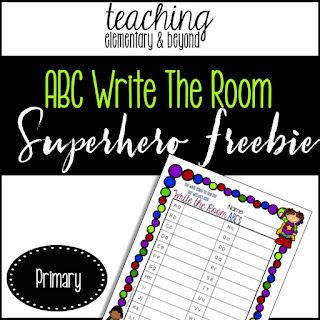 Before they can tackle a full ABC write the room I always expose my kindergarten students to similar but smaller activities. Usually I will post write the room activities around a holiday or a math related concept that we are working on. 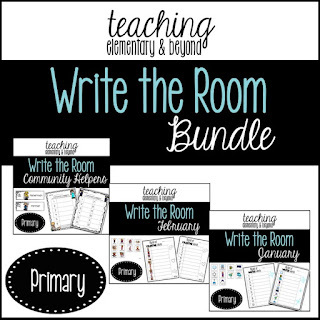 You can check out a variety of different write the room activities by clicking here or clicking on the image below. Once the my students have become familiar with writing the room I will often give them the challenge of making their own activities on whichever topic we are learning and/or inquiring about at the time. Children will rise up to this challenge, when they are familiar with the routines, and do a great job at creating their own images and writing the corresponding words! 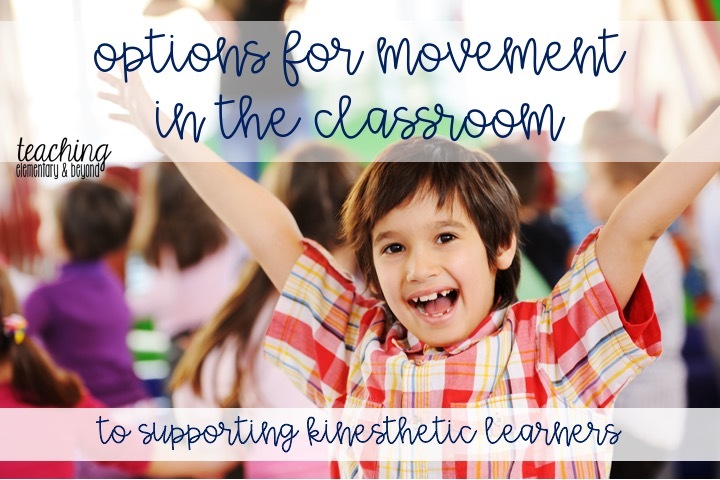 I hope these ideas help give you some ideas of how you can incorporate movement in your classroom throughout the school day!